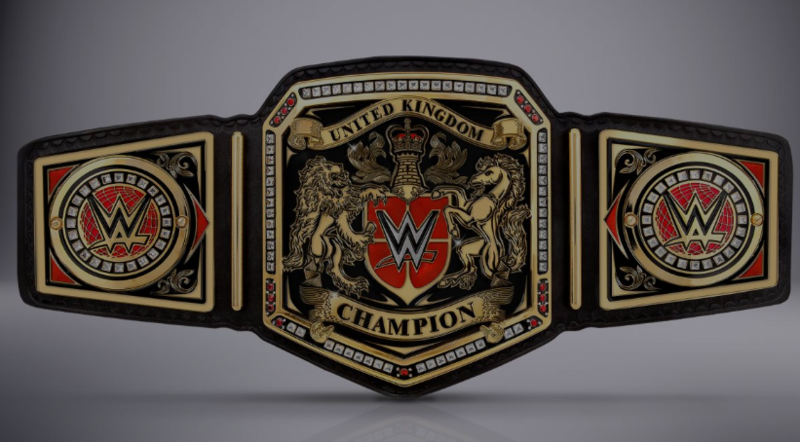 WWE will soon be crowning the promotion's first ever United Kingdom Champion. It was announced at a press conference in London today that WWE would be holding a two-day tournament that will air live on the Network to determine the first UK champion. The tournament will feature 16 wrestlers and will be held at the Empress Ballroom in Blackpool, England on January 14th and 15th. Triple H made the announcement at the press conference and was joined by Michael Cole, William Regal, and Finn Balor. It was also revealed that former ROH star and behind-the-scenes talent Nigel McGuinness would be joining WWE to call the action alongside Cole and Regal. Dave Meltzer detailed some elements of the tournament in this week's edition of the Wrestling Observer Newsletter and has reported on WWE's attempts to sign UK talent in recent weeks. Triple H cited the move as the next chapter in WWE's talent development and content strategy. He said that they have spent the better part of the year working with promotions like PROGRESS, Revolution Pro Wrestling, ICW, and OTT to find the best talent in the region. The United Kingdom's wrestling scene has exploded in the last few years while featuring some of the best talent in the world. WWE tweeted a picture of the competitors for the tournament, which will feature UK stars like Pete Dunne, Trent Seven, and Tyler Bate. This is apparently the worst thing that has ever happened in the history of wrestling. Jesus - he's been off the pies. That belt had so much potential. Another belt that looks like tacky trash. Well done. I mean, I'm upset they aren't reviving the European Championship too, but that's a bit much. Did they say if will be a UK only belt, or be defended like every other belt on regular on WWE Universe TV? Triple H said during the press conference that the goal is a weekly UK show. I guess, if the two live shows aren't a success and this doesn't work out, the belt and it's champion will either move to other shows or it will be forgotten about. A weekly show filmed at mid sized venues across the UK would be pretty cool. I could see the brand developing a NXT-like following. Best possible scenario: Chris Hero taking out someone before the first round, entering himself in the tournament and then winning the whole thing for massive, massive heel heat. (Samoa Joe works too I guess). It's the best looking belt they've debuted in years! I really wish they'd adopt the interchangable sideplate logo as the official company logo, very classic look. I'm kind of annoyed/disappointed this is happening before the women's tournament. I also know none of these people in the slightest. Still curious in how it turns out. he belt looks great. Y'all know Japan is going to happen at some point too. So who's likely to win this tourney, and who's likely to be the semi finalist that replaces Simon Gotch as the masked Vaudvillain III? I'm surprised Martin Stone isn't in this.